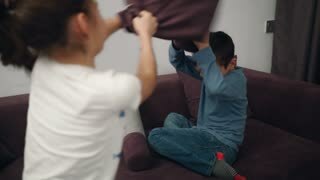 Search Results for "kids couch"
Young kid annoying older brother while playing with smartphone. Jib portrait shot of two kids on sofa in living room playing with technology toy smartphone with installed games. 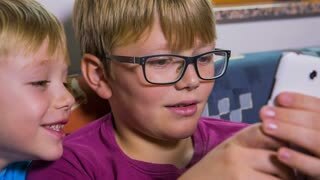 Child interested in what brother is playing on smartphone. Jib portrait shot of two kids on sofa in living room playing with technology toy smartphone with installed games. 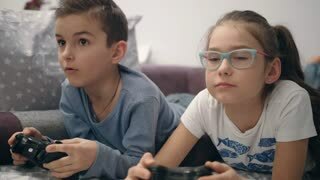 Happy older sisters and joyful younger kids sitting on the couch playing video games in the guest room. Fun family holiday. Happy mother and two small kids sitting on the sofa. Woman shows tablet to children. Family holiday. Joyful mother and two kids sitting on the sofa and waving to the camera. Family holiday. Happy mother and two kids are sitting on the sofa. Woman shows tablet to children. Family holiday. Young brothers playing with smartphones. 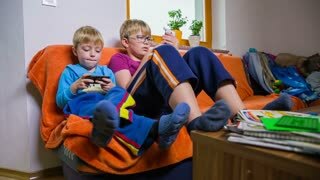 Brothers in living room enjoying on sofa playing games on smartphones. Jib shot of kids using technology toys. Family sitting on the couch in the guest room and watching TV emotionally. Older sisters and younger kids spend time together. Family holiday. Children playing rock paper scissors. Cheerful kids sitting on sofa. From winning to losing. Kids running to parents. People on the sofa. Tips for families. Two Cute Little Girls and Young Adorable Boy Have Fun, Jumping High on a Couch at Home. Happy Kids Dancing on a Sofa in the Sunny Living Room. In Slow Motion. Two Cute Little Girls and Young Adorable Boy Have Fun, Jumping High on a Couch at Home. Happy Kids Dancing on a Sofa in the Sunny Living Room.